What Are the Benefits of Using Salon Tanning Lotions? Accelerator lotions can help users achieve the optimal tanning bed tan. Salon tanning lotions are creams or gels that are applied by people before they tan in order to enhance and maximize the process of tanning. These lotions can be used prior to tanning in the sun naturally, before people lie in tanning beds, or after they have tanned. Users derive different benefits from using salon tanning lotions, including enhanced color and safety and improved skin condition. There are a number of ways in which salon tanning lotions can improve the color obtained from tanning. Tingler lotions cause the blood vessels under the surface of the skin to dilate. This causes the person's blood flow to increase and the skin to become more heavily oxygenated. Subsequently, a warming sensation of the skin occurs, causing it to become flushed and rosy in color. This effect is only temporary. Accelerator lotions help to prepare the skin before tanning so that the tanner can achieve optimum color. The benefits of this lotion for tanning include the magnification of UV rays and the increase of the skin's ability to absorb these rays. Cooling lotions are designed to benefit skin by helping the person tanning to feel less warm. These lotions also increase the development of a deeper tan and are often infused with aromatherapy oils, making the tanning experience much more pleasant. Bronzing lotions have temporary beneficial effects and are used by the tanner to supplement and extend the life of the tan. Many salon tanning lotions contain sunscreen. This is subsequently beneficial to tanners because it helps to provide a degree of protection against harmful rays while still allowing them to achieve their desired color. The lotion can also help to prevent sunburn, which can be a dangerous side effect of tanning. Overall, salon tanning lotions are beneficial because they improve the results obtained by the tanner. They are thought to enhance the natural process of tanning and may even help to stimulate the body's natural production of melanin. There are a variety of types and brands available, and many are customized based on what qualities the person tanning hopes to achieve. Do I Need to Prepare to Go to a Tanning Salon? What Are the Best Tips for Self Tanning? How do I Choose the Best Gel Bronzer? 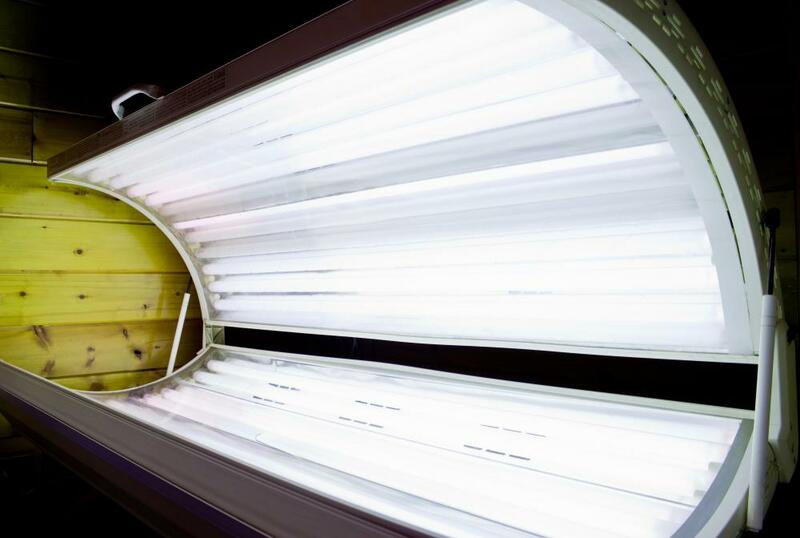 How do I Choose the Best Tanning Bed Lotion? How do I Choose the Best Spray Tanning Salon?